Kara soft jersey, irregular hem dress in forest green with stunning black Chantilly lace underskirt lining. Ruched at the waist to achieve the perfect fit. Super flattering, inserted lace detail on the shoulders. It's also available in purple/pllum. Kara soft jersey, irregular hem dress in forest green with stunning black Chantilly lace underskirt lining. Ruched at the waist to achieve the perfect fit. Super flattering, inserted lace detail on the shoulders. 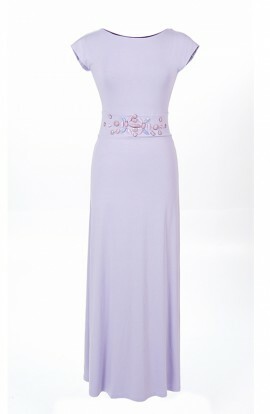 It's also available in purple/ plum.